Today’s post will be a bit accelerated due to time constraints imposed by a long To Do List for Team UV in the coming weeks as we prepare for more testing, analysis, conference, and possible journal submissions, but I thought it would be a little fun to talk about role models in engineering today. First off, a major issue is that there really aren’t many widely publicized role models in the world of engineering, which actually stems from a fact relating to the average academic process. Growing up, we all take classes in fields such as English (or a comparable language class if you are in a country where English is not the primary language), Mathematics, Art, History, Biology, Chemistry, Government/Politics, and (maybe) Physics, but the only people who truly take engineering classes are people who are going to become engineers. This, unfortunately, creates a huge disconnect between the engineering world and that of the general public; the public knows what a historian does, what a businessman, artist, or chemist does, or at least has a fundamental understanding of what they do, but the only ones who truly know what an engineer does, are usually the engineers themselves. This directly translates to the lack of publicity of engineering role models, in that it is not very often that a movie, or TV show, or children’s book (for example) is produced that focuses on an engineer as a role model; if there is an engineer in the story, the role of the engineer is usually vastly misunderstood and often misinterpreted. No one is truly to blame for this, it is simply a consequence of the fact that only engineers truly take engineering course work (after all, should the general public be forced to struggle through extremely difficult engineering courses if they are not interested in engineering?). So how can we remedy this? The best way is to help form a stronger connection between the general public and the world of engineering and, generally speaking, the most effective way to do this is by trying to inform the public about engineering at a younger age. What is the perfect vehicle for this kind of education? The use of role models through TV personalities, story book heroes, and even public speakers. Below I will quickly introduce you to a few engineers who have been working very hard to introduce a younger audience to engineering in the hope of inspiring the next generation of engineers. Bill Nye “the Science Guy” is actually a mechanical engineer; bet you didn’t know that! Nye received his B.S. in Mechanical Engineering from Cornell University in 1977 and has gone on to receive many honorary degrees including a Doctor of Science honorary degree from Rensselaer Polytechnic Institute, an honorary doctorate from Johns Hopkins University, an honorary Doctor of Science degree from Willamette University, and an honorary Doctor of Pedgogy degree from Lehigh University. Nye is of course known for his educational television program “Bill Nye, the Science Guy” which spanned 5 seasons and 100 episodes (from 1993-1998) and taught a young audience about highly complex subjects such as heat transfer (for example) in simple and fun ways, often using experiments that could be performed by kids at home with their parents. Bill Nye helped to influence an entire generation of future scientists and engineers; one can only wonder how much greater the impact could have been if the show shined the light on Nye’s role as an engineer. None-the-less, Nye’s work has had a major impact and helped to show that science can be fun. If you are unfamiliar with the show, I highly recommend you seek it out and am sure you can find old clips on YouTube. Most recently, Nye was working on an interactive video game that would utilize lightweight wings that could be strapped to the arms and moved and flapped around to teach kids about the aerodynamics of flight. Debbie Sterling is a name you may not know, but she is an outstanding role model never-the-less. Sterling holds a degree in Mechanical Engineering/Product Design from Stanford University and upon graduating, did exactly what engineers are taught to do: she identified a problem and came up with a solution. Sterling decided to pinpoint the issue of gender under-representation in engineering, pointing out that only 14% of engineers worldwide are female. I can personally attest to the truth of this fact as, over my 5.5 year undergraduate career, I was made all too aware of the lack of gender diversity in my classes. This issue is magnified in mechanical engineering, which in my experience shows far lower numbers of females than other fields of engineering do. In my average mechanical engineering class throughout my undergraduate career, there were likely on average 1-2 females out of a class of 30-35 students on average; some classes had as many as 4 females, while many did not have any at all. In order to remedy this issue, Sterling has created a line of toys specifically targeted towards girls at younger age levels that aim to inspire interest in engineering. She essentially has made the female equivalent of the builder sets and simple machine toys that many boys enjoyed growing up, but that many girls were kept isolated from. Sterling’s company GoldieBlox is making great strides and I highly recommend that you check out their website. Elon Musk is the last person that I will list. Some of you may not know who Musk is, while others of you might be the type to follow his every move. Musk earned two B.S. degrees, one in Physics from the University of Pennsylvania and one in Economics from the Wharton School. Following these two degrees, Musk began his Ph.D. in Applied Physics (which is often very similar regarding coursework to both electrical and mechanical engineering), but left the program two days later to start his career as an entrepreneur, going on to start some very successful companies, namely: Zip2 (a web software company that was bought up by Compaq in 1999), X.com (an online financial services company that later became PayPal after a merger with Confinity), SpaceX (short for Space eXploration), Tesla Motors (an electric car company), Solar City (which Musk came up with the concept of, with his cousins actually starting the company, which is now the 2nd largest solar power system provider in the U.S.), and is currently setting up Hyperloop (which would provide a 350 mph+ form of ground transportation between Los Angeles and San Francisco). Musk is on this list for a different reason, while he has worked as an engineer, he is on this list more for the companies that he created. 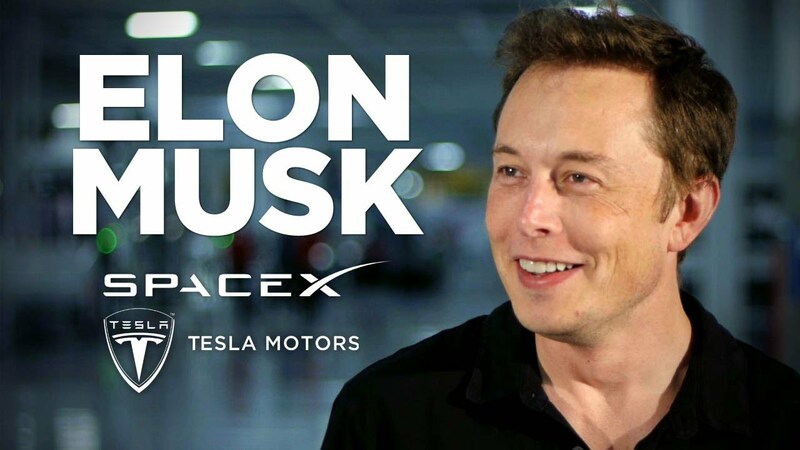 All of these companies are revolutionary by nature and thus the companies inspire interest among many future engineers, while Musk helps to get the word out through public appearances and his role as the face of these companies. There you have it, three engineering role models of today. Engineering is such an amazing field and there are many people out there who could have made limitless contributions to the STEM (Science, Technology, Engineering, and Mathematics) fields if they were only educated about engineering as a possible career option at a younger age. Having said this, it is never too late, if we continue to take positive steps today such as establishing elementary school science/engineering clubs and programs or more widely publicizing engineering role models (such as Debbie Sterling, for example), we can help to produce the finest generation of engineers the world has ever seen tomorrow. It is said that you can do anything that you put your mind to…I wholeheartedly believe this, but in order to put your mind to it in the first place, you must know that “it” exists.